The number one reason people quit their jobs is for a better opportunity so bosses, relax. Despite the commonly held belief that it’s all your fault, our research shows that over 40% of employees leave for better opportunities and only 15% leave because of a bad boss. In fact, Millennials are quitting at a rate of every two years making job-hopping the norm, but chances are very high this younger generation is more likely to boomerang back when they realize what they’ve missed. In the past almost 1 in 2 companies had a policy against re-hiring former employees but that’s all changed according to new research. In the first study released in the Employee Engagement Series commissioned by The Workforce Institute at Kronos Incorporated and WorkplaceTrends.com, survey data shows a changing mindset about hiring boomerang employees. 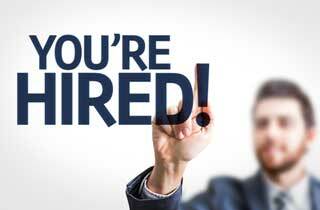 According to the workplace trends report, 76 percent of the organizations interviewed preferred rehiring ex-employees. Employers are responding positively to boomerang employees because they require less training, they have an understanding for the way work gets done and have a good understanding of the culture. The report also revealed that in the past 5 years, 85 percent of the companies interviewed, received job applications from previous employees. Further, 40 percent of these companies said that they hired those boomerang employees. There are several benefits to hiring a boomerang employee. 3. Their reentry into the workplace is faster. They onboard quickly and assimilate back into the organization with greater ease, they become productive at a faster rate and get up to speed because they already know the ‘drill’. Alumni who leave with a positive attitude are exposed to a network of new people who will ask about you. Handled well, these exiting employees could be your most effective PR advocates and ambassadors. Past employees can be a reliable source for references when someone they know decides to apply to you for a position. By leaving the door open, even if an employee never returns, you have parted in a respectful and thoughtful way. As humans we all respond well to being treated warmly. When employees resign, and they are leaving for a better opportunity, be open to staying in touch and foster a welcome back spirit and the easiest way to do this is through your Exit System. Would you be motivated to come back to work for XYZ Company if the right opportunity became available? If the answer is yes, ask them to provide you with their personal email address, if you don’t already have it, and their permission to contact them. Let them know they will be remembered as an XYZ Company employee whose time and contributions were valuable and appreciated in addition to wishing them all the best in their next adventure. Then as part of your communications plan, create a file and save the names and addresses of those employees who said they want to stay in touch. Let them know about upcoming job openings, ask them to share that opening with friends if they are not interested at this time, invite them to stay in touch using social media and include them in newsletter mailings. Almost all organizations interview departing employees, almost nine in ten do but only 4% use a systemized method of collecting and tabulating their exit survey findings. That means many organizations are missing out on the opportunity to collect valuable data that would in turn help their recruitment and retention efforts. If you would like more information about our InsightEXIT system please visit our website here, or email us for more information at info@insightlink.com or please call Lynn at 866-802-8095 ext 705.